Katarzyna Kolasa has more than 16 years of working experience in the healthcare sector, with 10 years with the pharmaceutical and medical devices industry and six with the public payer. In the past, she worked at both global and regional HEOR functions at AstraZeneca and BiogenIdec being based in Sweden and Switzerland respectively. At Bristol Myers Squibb and Lunbeck she was leading Market Access teams in CEE and Nordic Region. Her practical skills in the field of health economics were developed during six years employment contract at the Kalmar County Council in Sweden. Since 2015, she has been working with pricing &reimbursement challenges in the field of medical devices. Currently being Global Market Access Principal Consultant for Straub Medical. Before that, Katarzyna was a Senior HEOR Director at GE Healthcare. Dr. Elder is a visiting professor at King’s College, London; a member of the British Pharmacopoeia (BP) and the Editorial Advisory Board for the Journal of Pharmaceutical Sciences. He has published over 130 papers and presented over 130 presentations at international symposia. He has co- edited two books: “Analytical Characterization and Separation of Oligonucleotides and their Impurities” and “ICH Quality Guidelines”. Dr Suhail Chughtai is a UK based Orthopaedic Surgeon and Medico.legal Examiner. Apart from being an experienced medical professional with over 15 years of consultant level experience in Orthopaedic & Trauma surgery, he has been a Microsoft Certified Specialist since 2001. He has designed and instructed over 50 Medical IT courses in Pakistan, UK and Saudi Arabia since 2001. His main strength is designing Medical Projects with embedded Live Video embedded for doctors such as www.MedicalWebinars.online for Medical Training & www.WebClinic.online for doing Virtual Clinics. His medico -medico-legal firm in London won a business award in 2011 owing to his innovative design of Medical Reporting Software. Dr Chughtai developed a web based TV Station (TVapex) in 2012 backed up by a Video Production Firm (Apex Video Professionals) in London. Both of these projects helped him to develop Medical Solutions with embedded Live two-way Video, such as “Web Clinic” and “Medical Webinars".He has lately formed a Software Firm with special focus on creating “Live Video embedded Web Software Projects” for Medical and allied professional industries (www.WebBroadcastingServices.com, based in London, UK). Marcela Perticara is a labor economics specializing in gender and inequality issues. Since 2002 she has hold a full time position at ILADES-Universidad Alberto Hurtado. She got her Ph.D. in Economics at Texas A&M University. Her areas of interest are development economics and impact evaluation methodologies. Most of her research is focused on gender disparities, childcare issues and inequality in education. She has presented his research at seminars and conferences both nationally and internationally. She has also served in several governmental advisory board/committees and academic grant and fellowship review boards. Sarah Neville is the Director, Pricing at the Independent Hospital Pricing Authority (IHPA), and is responsible for delivering the National Efficient Price annually. Sarah’s background is in mathematics and statistics, holding a Ph.D. in statistics from the University of Wollongong. She was invited to present doctoral research at the University of Oxford in 2012. Sarah recently spent six weeks in remote Australia working with Miwatj Health Aboriginal Corporation developing better ways to communicate key health statistics to Indigenous Australians. Dr. Ailawadhi has expertise in the field of plasma cell disorders, specifically multiple myeloma and focuses on clinical drug development as well as a special interest in secondary data analysis looking at outcome disparities and healthcare economics. He has accumulated vast experience in the area of disparities in healthcare utilization and outcomes by patient race and ethnicity and how the management, access and effects of therapeutic interventions may be different for various patient subgroups. Several of his research projects focusing on healthcare economics, cost-effectiveness and outcome disparities have been recognized in the form of presentations at national and international meetings as well as peer-reviewed publications. Samath D. Dharmaratne is an Associate Professor and a Consultant Community Physician attached to the Department of Community Medicine, Faculty of Medicine, University of Peradeniya, Sri Lanka and has been in the permanent academic cadre for the past 22 years. Samath was a former Head of the Department, a former Public Health specialist in the World Bank, and a former postgraduate fellow in the University of Washington. He is a Senior Fellow of the Postgraduate Institute of Medicine, University of Colombo. He is a Board Director of the Consortium of Universities for Global Health and the Course Coordinator of the Diploma in Exercise and Sport Sciences, Faculty of Medicine. Arun Kumar Aggarwal is MD in Community Medicine and postgraduate in Health & Hospital Administration. He is Professor in School of Public Health of premier tertiary care institute (PGIMER) at Chandigarh, North India. He has done WHO fellowship in Health Financing & Economics from Bangkok and World Bank online course on Basics of Health Economics. Sushil Ranjan Howlader was Professor and Director of the Department of Economics of University of Dhaka from 1995 1998 and thereafter became professor of the institute of health Economics of University of Dhaka, Dhaka. He was the founder Director of the Institute of Health Economics of University of Dhaka and worked as Director from 1998 to 2005 and again from 2007 to 2010 (July). He is also the former Director of the Bureau of Economic Research, University of Dhaka.He has carried out his doctoral study as a Winrock scholar on Development Economics at Jawaharlal Nehru University, New Delhi, in 1993. Rafia Rahman works as Assistant Professor, Lecturer at Institute of Health Economics, University of Dhaka. She works with national and international NGOs for around nine years then an academician. Her wishes to increase, ensure health care services by registered trained provider in the countries. Rafia also has work experiences like, Training on “Norplant”, conducted by Mohammadpur Fertility Services & Training Center, Training on “No-Scalpel Vasectomy (NSV)” conducted by AITEM, Dhaka, Completed “Continuous Technology Update (CTU)” workshop organized by NSDP, Attended a training on “Integrated Management on Childhood Illness (IMCI)” at Dhaka Shishu Hospital, Attended a training on “Follow-up after IMCI Training”– at Ad din Hospital organized by NSDP, Completed “RTI/STI Management training” organized by NSDP, conducted by Radda MCH, “Quality Monitoring & Supervision of TB Program” workshop organized by URC, Supervision and performance evaluation of medical staff, Maintain liaison between the hospital and providing training to relevant medical and Skilled Birth Attendants (SBA), Developed an on-going training program for nursing and clinical staff, Provide Active Management of Third Stage of Labor (AMTSL) in four (04) districts of Bangladesh. She Attended 9th south East Asia Regional Scientific Meeting,” Epidemiology: A key to Achieve the Millennium development Goals” Workshop. Professor Khalid’s is a clinical cardiologist by training, Professor Khalid previously served as the Dean of Universiti Teknologi MARA’s Faculty of Medicine. Under his stewardship, the faculty recorded tremendous growth and established itself as one of the foremost medical faculties in the nation. Prior to that, Professor Khalid played a number of key roles – including serving as Dean – in a career spanning two decades at Universiti Kebangsaan Malaysia. He also served as a consultant cardiologist at both universities where he was instrumental in developing the Heart Centres at these universities. Professor Khalid began his medical career as a student at The University of Melbourne, Australia. He was then trained in Cardiology at the University of Newcastle-upon-Tyne, UK. On returning to Malaysia, he built a strong career in academia, bolstered by national and international recognition of his contributions. He is a firm advocate of research and development and his findings are frequently published in high-impact international journals. His papers are cited and referred to by many of his peers, adding credence to his standing as an academic. What Professor Khalid brings to UCSI further enhances the University’s strong links with the industry and its vibrant student life. The latest addition to Professor Khalid’s ever expanding list of accolades and awards is a Doctor of Medical Sciences (honoris causa) conferred by his alma mater, The University of Melbourne, Australia in October 2014. The citation for the honorary doctorate by the Melbourne University’s Council identifies him as a person of distinguished eminence in medical science, research and effective medical education. His international outlook was best demonstrated in his development and forging of strategic partnerships between UCSI and world leading universities, culminating in UCSI’s proudest moment when our top Year 2 medical student was selected for an intercalated research year at Harvard University in the USA. Dr. Teckle is a Health Economist at the Canadian Centre for Applied Research in Cancer Control (ARCC), British Columbia Cancer Agency and an Assistant Professor in the School of Population and Public Health at the University of British Columbia. Previously he held positions at Health Economics Research Unit, University of Aberdeen UK. Whilst at the University of Aberdeen, Dr. Teckle was part of a research team that was commissioned by the Scottish Executive Health Department in 2005 to improve and refine the Arbuthnott Resources Allocation Formula used in Scotland. Since he joined the ARCC in 2006, Dr. Teckle has been working as a co-investigator in three projects: “Health-related quality of life in cancer patients”; “Long-term income and employment outcomes in cancer-survivors”, and “Phase-specific and lifetime costs of cancer in British Columbia and Ontario”. The objective of the first project is to evaluate the reliability and validity of cancer-specific measures of health related-quality of life in patients with cancer in BC. 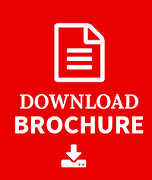 The objective of the second project is to estimate the effect of socio-demographic and clinical factors on cancer survivors’ income, and their ability to participate in the labor force using cross-sectional and longitudinal models; and the objective of the last project is to estimate costs for eighteen most common types of cancer in British Columbia. Over the course of his academic career, Dr. Teckle has published a number of scientific papers. Katarzyna is a Market Access Director for Region East at Lundbeck. In the past, she worked for AstraZeneca, Bristol Myers Squibb as well as BiogenIdec leading Market Access teams in CEE Region. In total, she has been working for pharmaceutical industry for more than ten years now. The last six years she devoted mainly to Market Access for CEE Region. Her office is located in Finland. In the past she was based in Sweden and Switzerland. She holds a PhD degree in health economics and is an author of the number of publications in the field of health technology assessment and pharmacoeconomics. 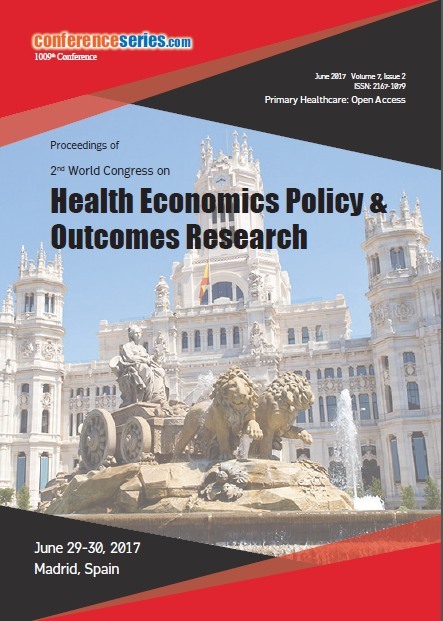 Katarzyna Kolasa has been invited to review manuscripts for Health Policy, Value in Health, Expert Review of Pharmacoeconomics & Outcomes Research and International Journal for Equity in Health. Her extensive knowledge in the field of health economics was acquired at University of York, University of Lund and University of Bergen as well as during International Doctoral Courses in Health Economics and Policy organized by the Swiss School of Public Health. Katarzyna Kolasa is DIA tutor for HTA courses, teacher at MBA in health program at Lazarski University, HTA training at Business School of Technical University in Warsaw and Adjunct at Nicolaus Copernicus University Collegium Medicum in Bydgoszcz. In addition to her role as a University teacher, she lead Equity study as a part of InterQuality project organized by Warsaw Medical University, funded under the European Union\'s Seventh Framework Programme. She worked for World Bank regarding the hospital management project as well. Her practical skills in the field of health economics were developed during her six years employment contract at the Kalmar County Council in Sweden where she was responsible for a number of public health research programmes. Carl Asche is the Director of the Center for Outcomes Research at the University of Illinois College of Medicine at Peoria, where he is a Research Professor both in the Departments of Medicine (Peoria) and Pharmacy Systems, Outcomes & Policy (Chicago). He is also a research affiliate with the University of Victoria Centre on Aging. His research focuses on the use of comparative effectiveness research and cost-effectiveness analysis in health care decision making. His academic work has comprised of being the author or co-author of over 75 papers appearing in the medical and economic literature. He is the editor of the forthcoming book entitled, “Applying Comparative Effectiveness Data to Medical Decision Making: A Practical Guide” (Adis, 2015). He has presented his research at seminars and conferences both nationally and internationally. He has served on numerous national and international health economics focused editorial, grant review, advisory boards and committees.Asche’s research is funded by a variety of state/federal agencies and health system providers. Johannes Bircher has completed his professional formation at the University of Zürich, and his postgraduate education at the Mayo Clinic and the University of Zürich. Then he worked at the Department of Clinical Pharmacology of the University of Bern, at the Black Lion Hospital in Addis Ababa and at the University of Gottingen before he became dean of the Faculty of Medicine at the University of Witten/Herdecke. Now he is retired. He published 253 papers partly in high ranking scientific journals, and seven books. Richard M. Scheffler is a Distinguished Professor of Health Economics and Public Policy at the School of Public Health and the Goldman School of Public Policy at the University of California, Berkeley. He also holds the Chair in Healthcare Markets & Consumer Welfare endowed by the Office of the Attorney General for the State of California. 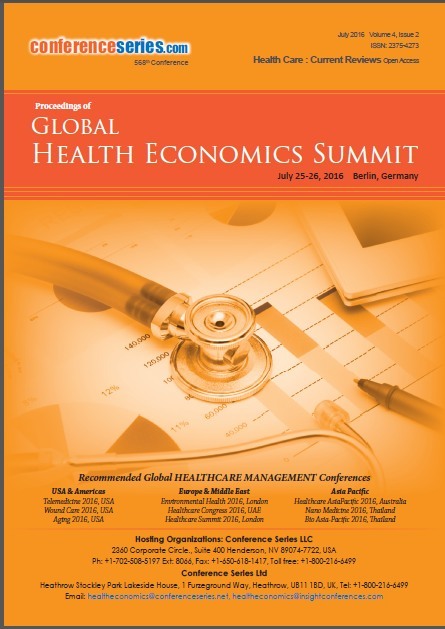 Professor Scheffler is the director of The Nicholas C. Petris Center on Health Care Markets and Consumer Welfare. He has been a Rockefeller and a Fulbright Scholar, and served as the President of the International Health Economists Association 4th Congress in 2004. Professor Scheffler has published about 200 papers and edited and written twelve books, including his most recent book, The ADHD Explosion: Myths, Medication, Money and Today's Push for Performance with Stephen Hinshaw, published by Oxford Press in March 2014, which was supported by a Robert Wood Johnson Investigator Award. 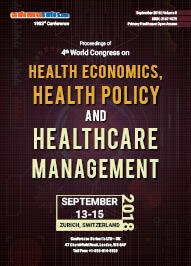 He has conducted a recent review on Pay For Performance in Health for the World Health Organization and the OECD. He was awarded the Fulbright Scholarship at Pontifica Universidad Católica de Chile in in Santiago, Chile as well as the Chair of Excellence Award at the Carlos III University of Madrid in Madrid, Spain in 2012 through 2013. He was just awarded the Gold Medal from Charles University in Prague, Czech Republic for his continued support of international scientific and educational collaboration in 2015. Dr. Sudip Chattopadhyay is the professor and past chairman of the Economics Department at San Francisco State University (SFSU). He obtained his Ph. D. in Economics in 1997 from University of Illinois at Urbana-Champaign. He has been on the SFSU Economics faculty since 1999. His research interest is in applying economic theories and models for economic evaluation of public policies, specifically in the areas of health and the environment. He has published in numerous peer-reviewed journals. His works have been extensively cited and some of them have been reprinted in special volumes for their enduring quality. Currently, Dr. Chattopadhyay is serving as an ORISE Fellow at the federal office of Health Resources and Services Administration (HRSA) to establish a research agenda focusing on healthcare workforce. Martin Kowarsch heads the working group ‘Scientific Assessments, Ethics, and Public Policy’ (SEP) at the Mercator Research Institute on Global Commons and Climate Change (MCC) Berlin. SEP does research on integrated scientific assessment-making in the context of (environmental) public policy processes, and focuses in particular on the appropriate treatment of, and ethical reflection on, normative issues and multiple stakes therein. Kowarsch is coordinator of a research initiative by MCC jointly with the United Nations Environment Programme (UNEP) on ‘the Future of Global Environmental Assessment Making’. Umberto Petruccelli is Professor at the School of Engineering of the University of Basilicata (Potenza - Italy) since 2001, formerly Assistant Professor (1986-2001), where he holds the courses of "Transport techniques and economics" and "Urban and metropolitan transport". He worked, as well as research manager, in inter-university national and international research programs and also in research agreements with public institutions aimed at the study of relevant transportation issues. He published many scientific papers on the Italian and international literature. His recent research activity has focused on mobility analysis and planning, with special regard to the quality and the standard cost of transit services, the impact and cost of transport externalities, the management of the urban road system and the safety of the transport system ordinary and disable users. Dr. Carl Asche is the Director of the Center for Outcomes Research at the University of Illinois College of Medicine at Peoria, where he is a Research Professor both in the Departments of Medicine (Peoria) and Pharmacy Systems, Outcomes & Policy (Chicago). He is also a research affiliate with the University of Victoria Centre on Aging. His research focuses on the use of comparative effectiveness research and cost-effectiveness analysis in health care decision making. His academic work has comprised of being the author or co-author of over 75 papers appearing in the medical and economic literature. He is the editor of the forthcoming book entitled, “Applying Comparative Effectiveness Data to Medical Decision Making: A Practical Guide” (Adis, 2015). He has presented his research at seminars and conferences both nationally and internationally. He has served on numerous national and international health economics focused editorial, grant review, advisory boards and committees. Dr. Asche’s research is funded by a variety of state/federal agencies and health system providers.